Phones are getting mighty powerful. 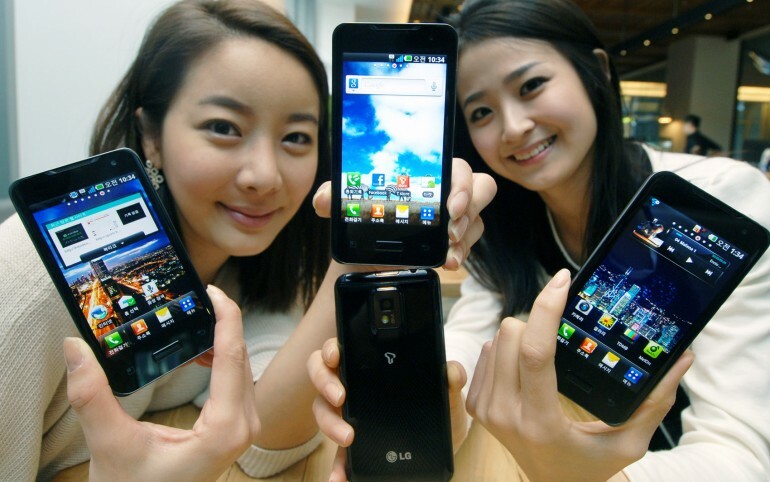 LG is getting ready to release the world’s first smartphone with a dual core processor. The phone is said to handle multimedia and gives out 1080p high definition video from both front and rear facing cameras. The phone, Optimus 2X, will run Android 2.2 with an upgrade to Gingerbread coming shortly after. The phone consumes very less power and also has NVIDIA’s Tegra 2 system on a chicp which clocks up to 1GHz and promises smoother gameplay, faster web browsing and seamless multitasking with virtually no screen lag. The dual core processors let the Optimus 2X deliver 1080p MPEG-4/H.264 high definition video recording and playback and the inclusion of HMDI mirroring technology is said to expand content on external displays up to full HD. The phone has a 4-inch WVGA touchscreen smartphone and will also be able to connect wirelessly to any DNLA-compliant digital device. It comes with 8GB of onboard memory with a microSD expansion slot. It has a 8 megapixel rear facing camera and a 1.3 megapixel camera in the front. It is powered by a nice 1500mAh battery and also has a micro-USB port, bluetooth and GPS location based services. There’s no official word on pricing yet and will be available in Korea soon.